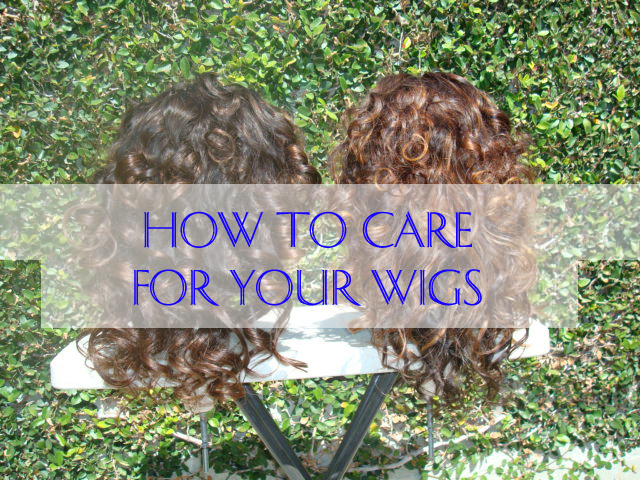 Caring for your wigs is very important because you don't want them to shed, tangle or lose volume, texture or shape. The lace is very delicate and required proper care which includes washing. If the lace wigs are not washed properly or sealed before washing, they will certainly shed. Shedding is a big problem for lace wigs. This is because they are not sealed properly when manufactured. Of course they want the wigs to shed... so we can continue buying more. Well, I've put together some instructions on how to properly wash your wigs to prevent shedding. 1. The proper way to store your wigs at night is by placing them on a Styrofoam Wig Head. Avoid placing pins directly into the lace, the pins will stretch holes in the lace. 3. Before each washing, spray the lace with two types of sealers, dry with a hair dryer to stiffen. I recommend Clear Acrylic Sealer and Knot My Problem. 4. When washing your wigs, put the hair from the lace into a ponytail, this will keep the hair from matting. You can easily clean the hair in the lace while it’s in a ponytail. Just avoid rubbing and causing friction to the hairs while it’s wet.